Now that it’s officially August, I’m starting to feel what I suspect many teachers feel this time of year—the all too familiar mix of anxiety and anticipation. While I use this time to cross off items on my summer bucket list—beach getaways, sticky popsicles, and poolside naps—I also use summer to reflect on all the things that could have gone better last year and the changes, big and small, I can make starting on day 1. I wonder about the students who will fill my classroom—and my life—in just a few short weeks. Who will they be? What will they be like? And how will I reach them? These are just a few of the questions that go through my mind as I plan for next year. As I flip through pages of pedagogy books and teacher websites, my notebooks team with ideas. Ideas for independent reading, prompts for notebook writing, and of course, lists and lists of mentor texts. Yet while discovering new ideas energizes me, it also overwhelms. And I wonder—maybe you can have too much of a good thing. Too much of a good thing. When I first started teaching, the hardest part was always feeling like I didn’t have enough—enough support, enough materials, enough ideas. I’m so thankful for the mentors who nurtured me during those early years. Now, fifteen years later, it’s not a matter of having too few ideas but too many. Even a cursory glance through favorite Twitter hashtags, teacher blog sites, and online workshops speaks to the abundance of ideas in the connected educator world—and to the generosity of so many talented teachers who share their work with open hearts. So as I enter another year of teaching, and with so much rich material out there—how can we make sense of it all? Last spring, I surprised my 9-year-old by coming in as a guest reader to his third-grade classroom (and yes, he was dying with appropriate embarrassment). 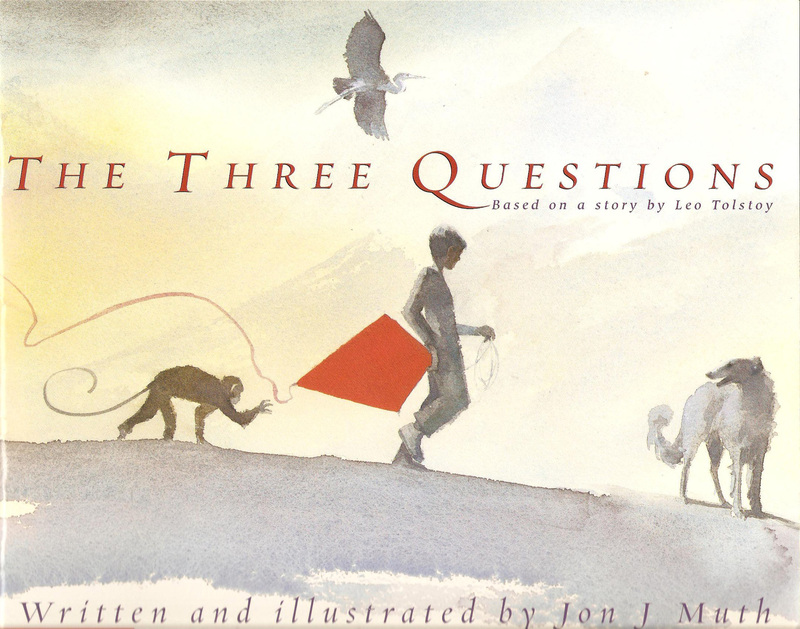 One of the books I brought with me to read was The Three Questions by Jon Muth. Although we’ve had the book for years, I actually couldn’t remember the last time that I’d read it to my son, so it seemed like a good choice. And if you are familiar at all with Muth’s work—Zen Shorts, Zen Ties, Stone Soup, among others—you know that his work is simply beautiful, with his signature watercolors and whimsical characters. Thus, the king seeks wisdom from an old hermit whom he believes can give him the answers. The hermit does not answer the king’s questions directly; in fact, in a very Mr. Miyagi-like move, the hermit engages the king in work that is meant to reveal the answers. By the end of the story, under the hermit’s guidance, the king saves the life of the enemy who intended to kill him, thus not only avoiding war but gaining a friend. What is the best time to do things? Like the original king, Nikolai first seeks answers from those around him. In Muth’s retelling, three animals—Sonya, a heron; Gogol, a monkey; and Pushkin, a dog—each give him wise, if not conflicting, advice. Confused, Nikolai then seeks the “hermit” figure in this version, a wise old turtle aptly named Leo. Though Nikolai is confused by Leo’s evasive non-answers, Nikolai ultimately discovers the answers to the three questions on his own. The stakes are a little less dark in this version—there is no enemy sent to kill Nikolai—but the lesson is important nonetheless. 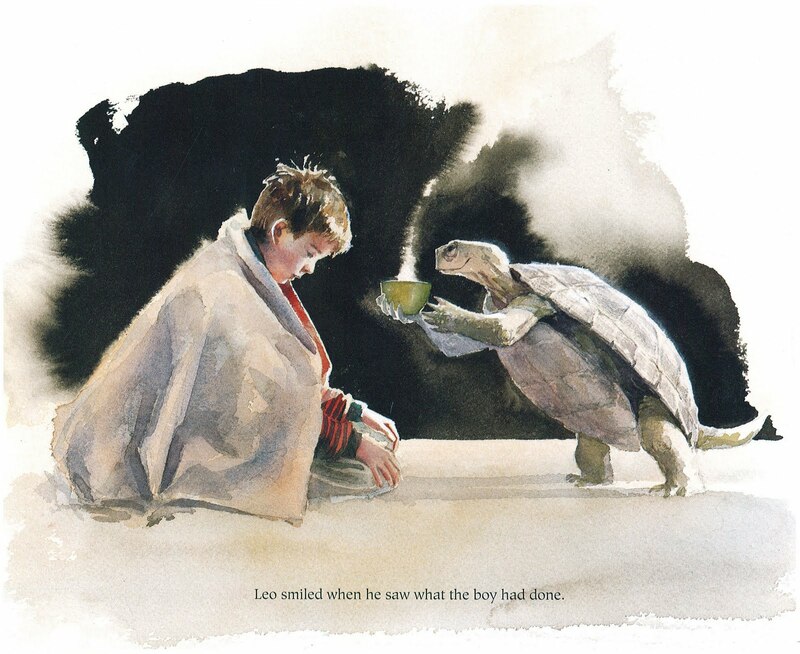 When Nikolai first meets Leo, he finds the old turtle laboring in his garden. Nikolai takes the shovel from Leo to help and continues the digging himself (symbolism!). While he works, a storm rains down, and the two seek refuge. However, Nikolai hears the cries of a hurt Panda nearby. Nikolai drops everything to help the Panda, and there’s a wonderful page depicting Nikolai struggling to carry the too heavy panda inside. When the Panda tells Nikolai that her child is still lost outside, without hesitation, Nikolai braves the storm and ultimately reunites mother and child. Too often, in asking questions about the best ways to teach, I know that I’ve been guilty of seeking answers in the form of materials—lesson plans, mentor texts, and my never-ending stack of pedagogy books. With back-to-school upon us, that urge to find answers in so many things nags and pulls even harder. And while there is nothing wrong with that—again, I can’t overstate how lucky it is to be a teacher today with so many rich resources readily available—sometimes the answer is simply about being present. Remember that there is only one important time, and that time is now. The most important one is always the one you are with. And the most important thing is to do good for the one who is standing at your side. For these, my dear boy, are the answers to what is most important in this world. I’ve collected notebooks filled with all the things I want to do with my students next year. I’ve amassed endless pages of resources in my Diigo feed. I’ve spent all my book budget money and then some. I’ve walked away from dozens of workshops with more materials and ideas than I could ever, ever realistically try out in my classroom (especially in 43-minute periods). It’s overwhelming; I’m overwhelmed. And school hasn’t even started yet. But like a wise old turtle one said, “the most important thing is to do good for the one who is standing at your side.” This simple but powerful advice is what I’ll hold on to this year. In those moments when I feel overwhelmed, when I worry that I’m not doing enough, not covering enough material… in those and all other moments of self-doubt, I need to remember that the most important thing is to do good for those standing at my side—my students. Too many times, the busyness of teaching life distracts me from simply being present in my classroom, with my students. We’ve all done it. While students work on something in class, I plan for the next day. Instead of taking those extra minutes to be present with students who linger after class, I find my mind wandering to the copies I need to make or the emails I need to answer or the tech tool I need to research. I know I’ve been guilty of criticizing students who text on their phones, talk to their friends, and do their work all at the same time. Yet I know many teachers, myself included, who are just as unsuccessful at the myth of multitasking. Years ago, when I first started doing SSR in class, I would ask students to read while I planned the next day’s lessons or read my own book (that’s modeling, right?). Or as students worked on their papers in class, quietly typing away, I would happily sit and grade their other papers. I was in the room with my students, but I wasn’t with them. Now as I walk around the room, I stop to have conversations, to ask students about their reading, find out their interests. Now I ask questions, peek over shoulders, confer and connect. I try to find out what’s the one most important thing each student needs. And now after spending an entire post writing about moving beyond materials and refocusing on the moments we spend with students, my practical teacher self can’t let me leave this post without some (more concrete) suggestions for the classroom. Students can read and discuss Tolstoy’s original story. Students will no doubt enjoy debating the philosophical nature of Tolstoy’s story and the lessons it has for their own lives. Then after discussion, read Muth’s book. I’ve recently started using more picture books in my own teaching with high school students, and they always respond with a childlike excitement and nostalgia (there is something incredibly powerful about being read to). Students could then compare and contrast the two stories—what changes did Muth make and why? What do these changes (and non-changes) tell us about what Muth assumed about his audience? How does the change in genre from short story to picture book affect our understanding or appreciation of the text? At the end of the picture book, Muth includes a note on what inspired him to rewrite Tolstoy’s story. Students could discuss his note, and in particular, what makes Tolstoy’s story effective for adaptation (students could also read the New York Times book review to read one critic’s analysis of the move from short story to picture book). Students could then either write their own version of Tolstoy’s original story OR they could take any number of stories originally intended for adults and write their own retelling appropriate for a younger audience. The mentor text possibilities are endless here. For example, The Epic of Gilgamesh is a rich text to view in terms of genre study. This epic tale of friendship and grief can be examined in narrative verse (we use the Herbert Mason version) but also in the wonderful picture book, Gilgamesh the King by Geraldine McCaughrean. Not surprisingly, both Tolstoy’s and Muth’s versions of The Three Questions follows the archetypal journey story, just like Gilgamesh. And speaking of Jon Muth… Tolstoy isn’t the first writer that he’s adapted in children’s book form. In 2011, Muth published Blowing in the Wind, a picture book adaptation of Bob Dylan’s famous song. What’s the difference between song lyrics and picture book, between the audio and visual? I don’t know about you, but I know that I often feel most defeated when I see a student turn in the dreaded one-long-paragraph-essay (it seems if students aren’t told how many paragraphs, they don’t know where to put the breaks). Because of their brevity, picture books are especially useful in helping students analyze the cohesion of the narrative’s structure. Here is the entire text of The Three Questions, written with and without paragraph breaks. After students determine the paragraph breaks, they can deepen their understanding of structure by storyboarding the story (here’s my go-to site for comic book type paper). What images are suggested by the text? What text deserves its own image or even its own page? Students could then compare their visualization of the text with Muth’s book. Then, an idea came to him. I know! he thought. I will ask Leo, the turtle. He has lived a very long time. Surely he will know the answers I am looking for. The storm raged on, banging at the doors and windows. Running down the path, he found a panda whose leg had been injured by a fallen tree. Pushing against the howling wind and drenching rain, he ran farther into the forest. There he found the panda’s child, cold and shivering on the ground. Then I ask students to revisit their drafts and look for places where they can add or revise using one of the brushstrokes. These are just a few possibilities for teaching when you have a rich mentor text like The Three Questions. If you teach using Kylene Beers and Robert Probst’s signposts for fiction, The Three Questions is an excellent example of at least two signposts—A-ha moment and Words of the Wiser. After identifying these two particular signposts, students could then write about their own a-ha moment or a time that someone else’s wisdom affected or changed them. After all, in some ways, that’s what the first half of this post did, isn’t it? So as we approach another school year, I hope this post leaves you with a few questions. First, which of the classroom ideas hold the most promise for your instruction? 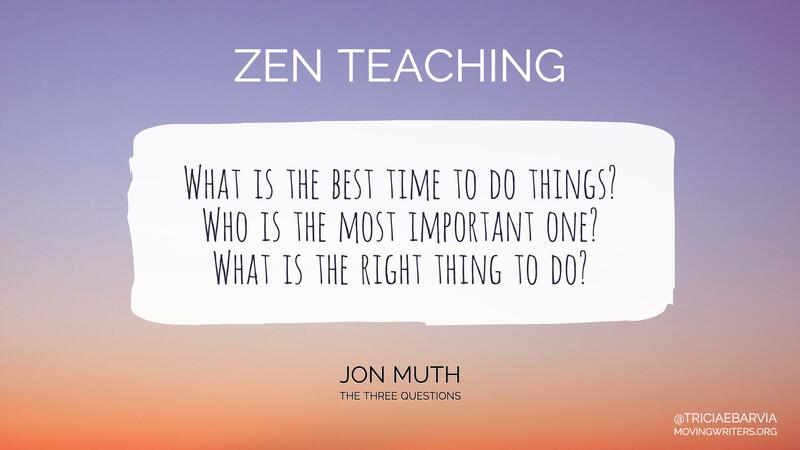 And second—perhaps more importantly, how can we take the lessons of The Three Questions back into our classrooms? What are ways in which we can be more present in our students’ lives? Where can we identify moments of Zen in our days? And how can we do the most important things and for the most important ones standing at our side? 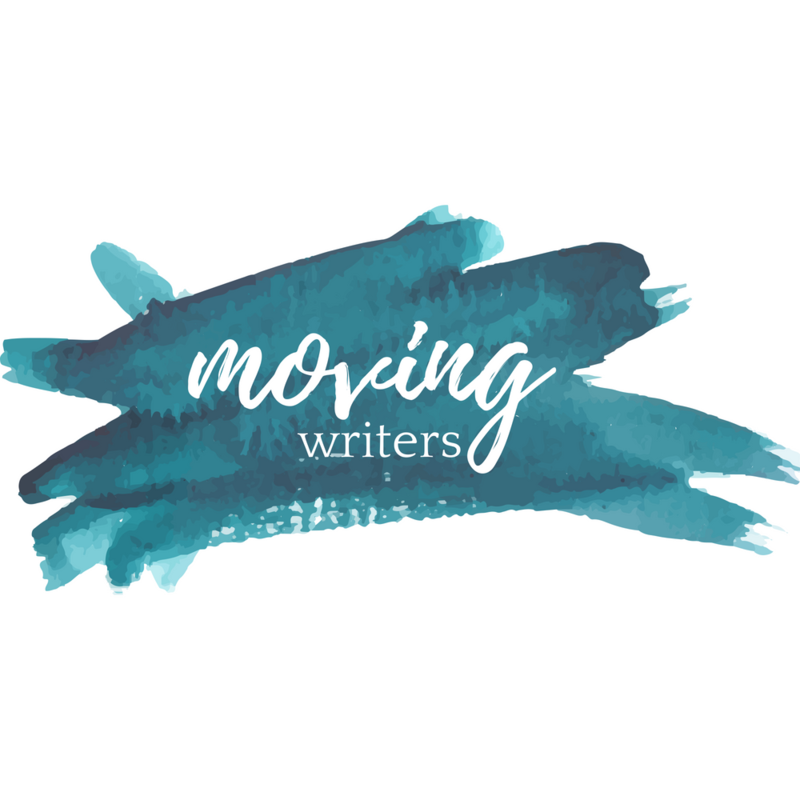 Tricia, this resonated with me on so many levels…as a mother, a teacher, a writer. Thank you so much for this comforting, wise, and inspiring post. This was the fire I needed to get me revved for next week.